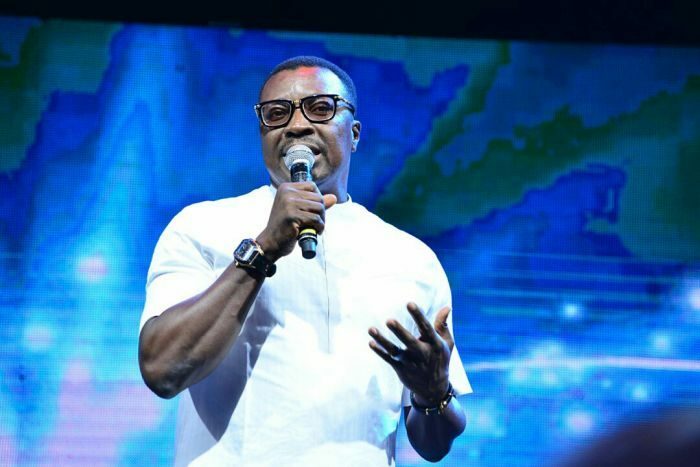 Ali Baba who disclosed that he was once a bus conductor and occasionally used his father’s car to convey people to their respective destinations as a taxi-driver, had described himself as a husband comic, writer, photographer, poet, artist, artiste, actor, motivational speaker, MC and talk show host. He recounted odd jobs he did, as he talked about his 30 years experience in the Nigerian entertainment industry. I have been a paddler, and a paddler works for people who have bakeries. He’s the guy that takes that paddle, puts it in the oven to check if the bread is ‘done’ or not. I’ve been a Miller, and a miller is not the one that mixes the flour, he’s the one that puts the flour through the mill and he checks to see that it is properly done. I have done all of those two. And I’ve loaded sand before, 80 pans takes about 1182 shovels; and we dig from where you have water, so you dig from the stream and it makes it heavier. You stand in the water, put your shovel in and then throw.